There's nothing like a gorgeous new electric light fixture installation to power up your home decor. 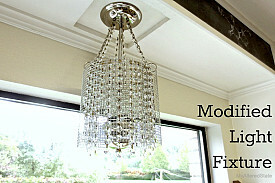 Whether mounted on a wall or the ceiling, statement lighting gives a fabulous focus to any room of the house. While replacement of all the light fixtures in your home could end up costing a pretty penny, there's a more frugal and creative way to get the look you love. 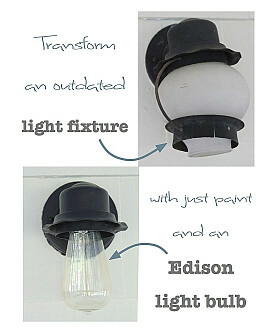 Use your creativity to glue, paint, or assemble DIY light fixtures -- it's easy and inexpensive! Just look at all this inspiration from bloggers on Hometalk. Would you believe that this oh-so-individual mirror light was a cliched Hollywood fixture in a former life? The aging star got a new lease on life from Shelly at Life on Sale, with the help of simple wood shims cut to equal lengths. 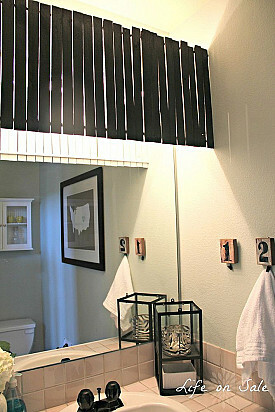 Cost of the facelift, part of a budget bathroom makeover, came to a mere $7.00. 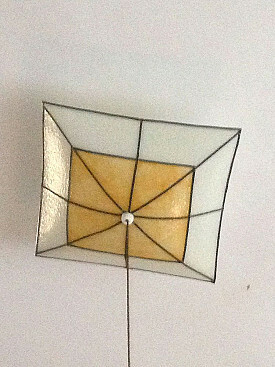 Just about every home has a standard square white glass light shade or two hanging around somewhere. Borrring! But Diane C is an artist at heart, and she worked decorating magic with stained glass paint to rev up a more colorful and polished look. The dazzling difference is incredible! This frilly, flowery fixture is actually a plain Jane paper lampshade, upgraded on the cheap. How? Well, blogger Stephanie of twozeroone tried the classic rolled-up coffee filter trick to create dozens of "blossoms." 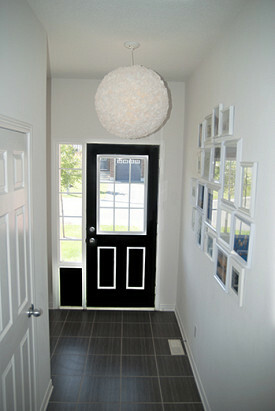 Using a little bit of glue plus a lot of patience, she created a striking overhead light for her entryway. Brass foyer lights used to be the latest thing but now they're so last century. Rather than send it off to the landfill, Brittany aka Pretty Handy Girl brought this light fixture into the 2000s in a two-step process. 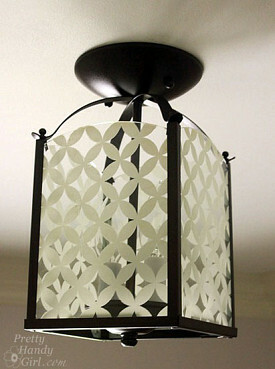 She toned down the brassiness with bronze spray paint and applied a silkscreened Moorish stencil pattern to the glass. Here's a kitchen "chandelier" that combines hard-core industrial with a pop of glam. MyAlteredState took the workings from a $10 ReStore light fixture and wrapped them with rabbit wire. Then she draped her concoction with glitzy crystals that shimmer elegantly when the fixture is turned on. Sheds a whole new light on washing dishes! Your outdoor lighting plays a major role in enhancing your home's curb appeal. No. 29 Design transformed this porch light's vibe to vintage (when it used to look just plain old). 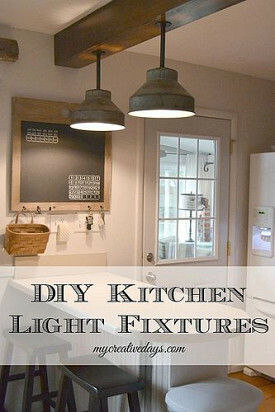 One of the easiest DIY light fixtures shown here, all it took was a quick paint job followed by a simple switch to an industrial-chic Edison bulb. This one-of-a-kind rustic light fixture install took a bit more work but we're sure you'll agree that the stunning results are well worth it. Lindsay of My Creative Days wrapped her kitchen's exposed drywall beam with wood, and then hung it with distinctive DIY fixtures crafted out of a thrift shop find -- two antique milk strainers. What Causes a Tripped Breaker?